There’s a girl, Rogue (Anna Paquin) who drains people of life, and mutants of their power. And a guy, Wolverine (Hugh Jackman) who has a skeleton made of a weird metal called Adamantium and has claws and can’t get hurt. They go to a school run by Professor Charles Xavier (Patrick Stewart) with tutors including Storm (Halle Berry), Jean Grey (Famke Janssen) and Cyclops (James Marsden). 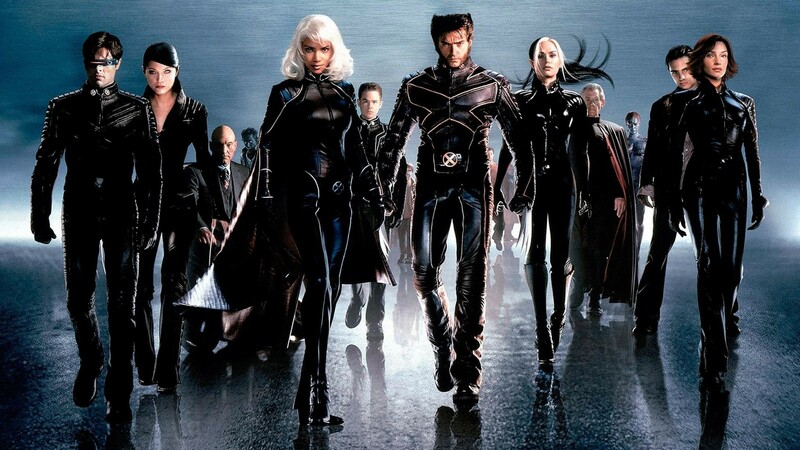 But, because it is a superhero film, there are the bad guys: leader Magneto (Ian McKellen), Sabretooth (Tyler Mane), Toad (Ray Park) and Mystique (Rebecca Romijn). And politics. And taking over the world. And some running and explosions. Yup, I liked it, although perhaps it was just knowing that it is part of a series of films that made it feel like an extended television episode. Even though things were full on and exciting and life threatening and all of that, I didn’t really fire up on it. I quite liked Wolverine, loved Xavier and Magneto, Mystique was pretty awesome. Wasn’t much of a fan of the other characters, and found Cyclops just really annoying… I can’t tell if it was just because his character was treated as a main character yet portrayed in a very two-dimensional manner or if it was just because I couldn’t see his eyes. I wanted to like it more than I did. But, as always, I will keep watching. I’ve heard the more recent films are pretty darned fabulous.